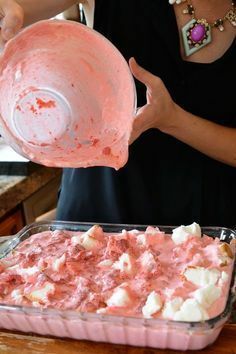 This strawberry refrigerator cake is so simple and delicious. This is my go-to cake when I need to bring dessert to feed a lot of people! And it's pink so that makes it even better! The angel food cake is my favorite part!